Lataguri is a small town located in the Jalpaiguri district of Indian state of West Bengal. 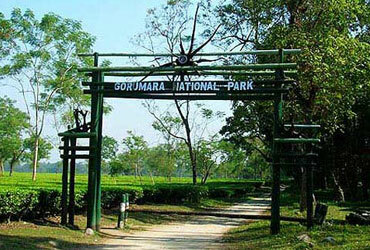 It is located outside the Gorumara National Park on National Highway No. 31. 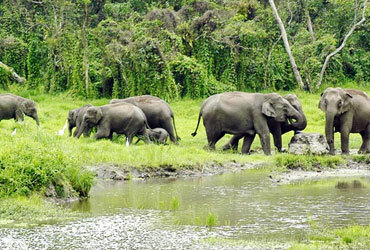 Permits for entering Gorumara and Chapramari Wildlife Sanctuary are given from Lataguri. The village also contains a "Nature Interpretation Center", which gives information about the flora and fauna of the area. Lataguri was famous for timber business form 1960 till 1990 and use to supply timber all over India in those days. But after that as per Government policy, Forest act and because of declaration Gorumara as a National Park, the timber business comes to close end. The Forest Department start to encouraging local forest villagers and local people about eco tourism and educated to stop deforestation for the benefit of wild life of the region. In the year 1992 Gorumara declared as a National Park, after that tourist from all over India and Foreign nation start to visit for witness wild animal of Gorumara National Park. To accommodate those tourists, local people start building Guest house for tourism venture nearby Gorumara National Park and succeed day by day. Today there are many good and luxury hotel and resort found in Lataguri. A few roadside restaurants and hotels cater for tourists. It a National park located in terai region of the Himalayas foothills. The park had been declared as the best among the proected areas in India by the ministry of environment & forest in 2009. Elephant safari can be done in Hollong. Its provides the majestic beauty of grassland of Jaldapara. It is by far the most popular tourist destination of Dooars are in North Bengal. Gorumara is a relatively small forest spread over just 80 sq km, but from tourism perspective the importance of this forest is immense. It is also one of the newest tourist destination of East India. Till late '90s, Gorumara was visited by only a few enthusiasts, but over the last few years its importance has increased substantially. 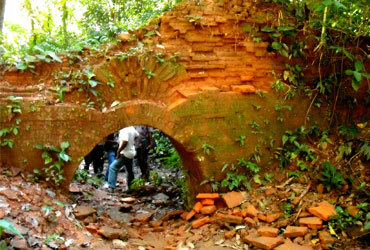 Chilapata Forest is a dense natural forest near Jaldapara WLS in Dooars area of West Bengal. It is about 20 kms from Alipurduar town and is within the Jalpaiguri District. A drive through the forests is an enthralling experience. As river Torsa flows down from the hills, it travels through the plains of Dooars dividing a continuous stretch of forest into Jaldapara and Chilapata. Jaldapara has traditionally been a popular destination for tourists for its population of one horned rhino and elephant. Chilapata on the other hand has gained in popularity only in the recent past.